Cook’s Illustrated is my favorite cooking magazine! I love their scientific approach to cooking and how they explain WHY some things work and some things do not! I also love, love, love their “Quick Tips” section of suggestions sent in by readers! Nine years ago, Cooks Illustrated published The Best Kitchen Quick Tips – 534 tricks, techniques and shortcuts for the curious cook – be still my heart! Filled with “Duh! I can’t believe I never thought of that!” and “Oh my gosh! That is a fantastic idea – I would have never thought of that!” tricks….at least that is what I think every time I pick it up to read a few pages! “Friday’s gift” to you is a small collection of my favorite tips (below the photo)and this link to where you can buy this most amazing book! 1. You know how cooking spray gets all over the place when you are spraying a pan? Open you dishwasher and place the pan on the opened door of the dishwasher and spray it. Any “overspray” will get washed away the next time you run the dishwasher! Duh! 2. Line your brownie pan with two rectangles of parchment paper (make diagonal cuts on the corners to allow the paper to fold in on itself when you pour in the batter). Bake and lift out the brownies — you do not even have to wash the pan! Yay! Did you know you can get pre-cut stacks of parchment paper? They are fantastic! Available on Amazon. 3. 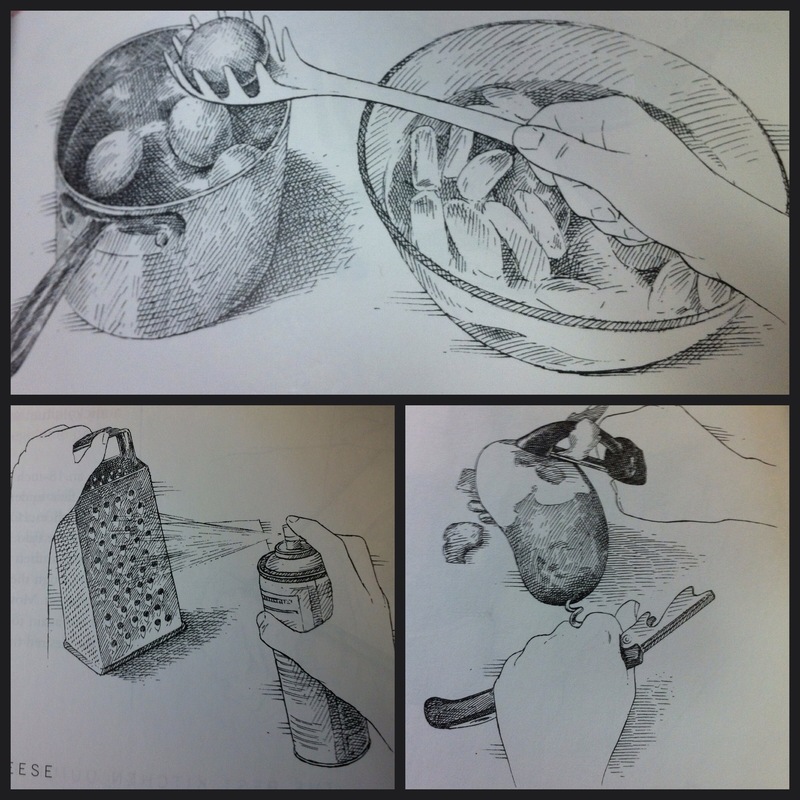 Twist a potato onto a corkscrew and use the corkscrew as a “handle” while you are peeling the potato = no cut fingers! 4. To remove hard boiled eggs from boiling water, use a pasta spoon – one of those things with the little fingers and holes for water to drain. One would think I would have figured this out after cracking many an egg trying to remove them with a too shallow spoon or tongs! One last tip – this one is my own. Add 1/4 teaspoon cayenne chile powder and 1/2 teaspoon cinnamon to brownie batter for a wonderfully subtle and delicious mild spicy “heat”. Completely delish Raspberry Thumbprint Cookies!